During individual or group demonstrations we will show you exactly how easy Easy Billing Professional makes the process of creating claims. We begin by showing the claim creation process, entered manually or brought in using the HL7 interface. Demonstrations are customized for specific types of users. 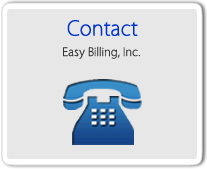 This includes demo's for the full range of Easy Billing users including pathology labs, medical billing specialists, physical therapists, chiropractors, billing services, mental health billing, acupuncturists and more. We always tailor the demo to meet individual questions identifying features important to your specific office flow. While the typical initial demo generally covers the topics listed below, we are happy to schedule as many demos as it takes for you to feel comfortable prior to your purchase. 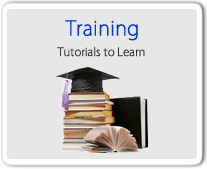 We will show you an example of our Flash tutorials and PDF instructions are included with Easy Billing Professional. 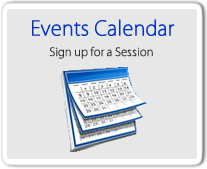 Use the web calendar to register or join an online demo. Or, call to arrange a demo convenient to your schedule. You may also register your name and email address so we can contact you to set up an online demo and notify you of any product announcements or updates. You can unsubscribe at any time.